Sakai Guides and DocumentationSakai Complete User Guide AssignmentsHow do I submit an assignment on behalf of a student? From the View drop-down menu, select Assignment List by Student. 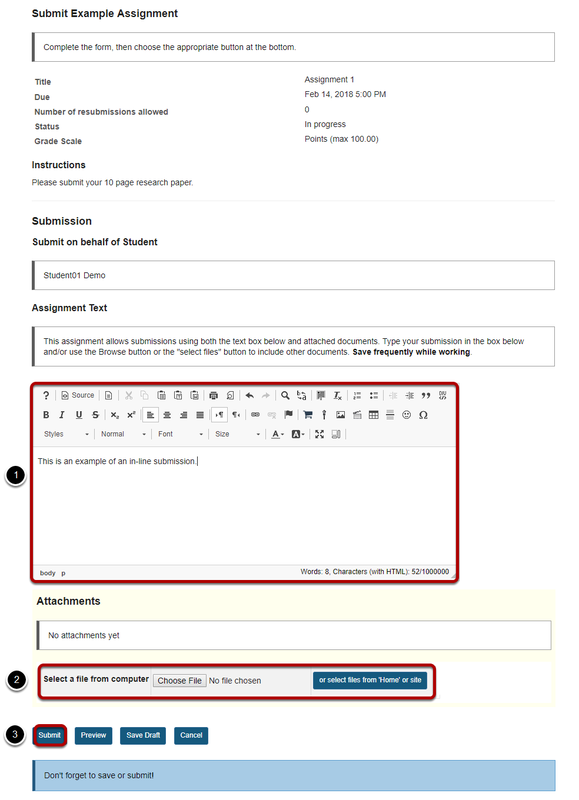 Zoom: From the View drop-down menu, select Assignment List by Student. You will see a list of all the students in the class. 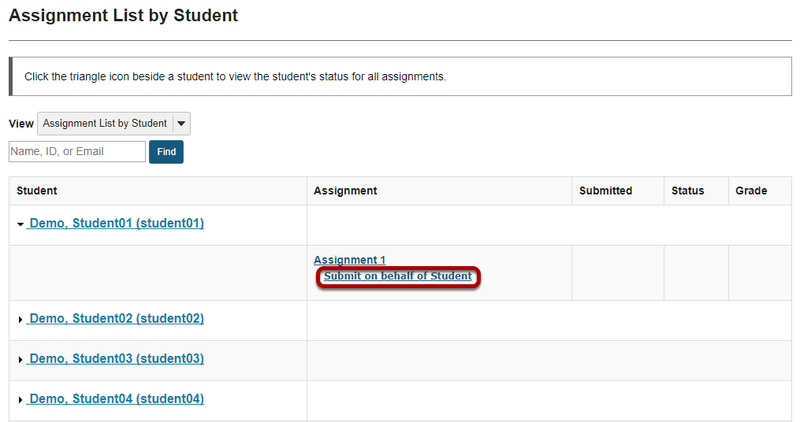 Click on the student's name to view submission information for that student. 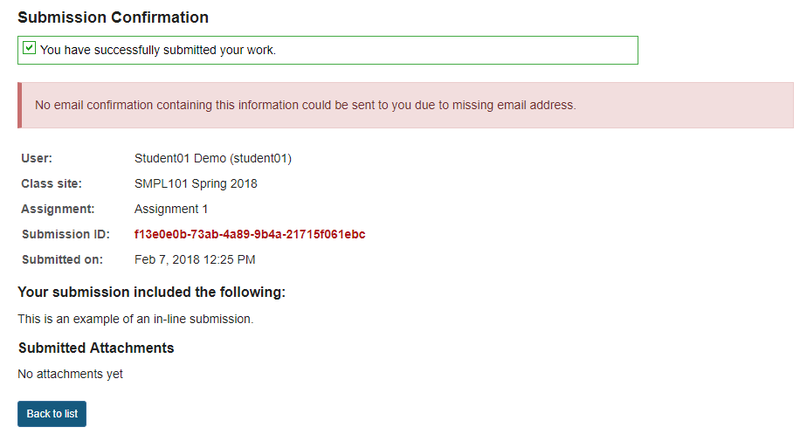 Click Submit on behalf of Student. Zoom: Click Submit on behalf of Student. Zoom: Submit the student assignment. Enter an in-line submission (if applicable). Select a file to attach (if applicable). Click Submit to submit the student assignment. A submission confirmation will display. Zoom: A submission confirmation will display. When you view the list, you will see the name of the instructor next to the submission. 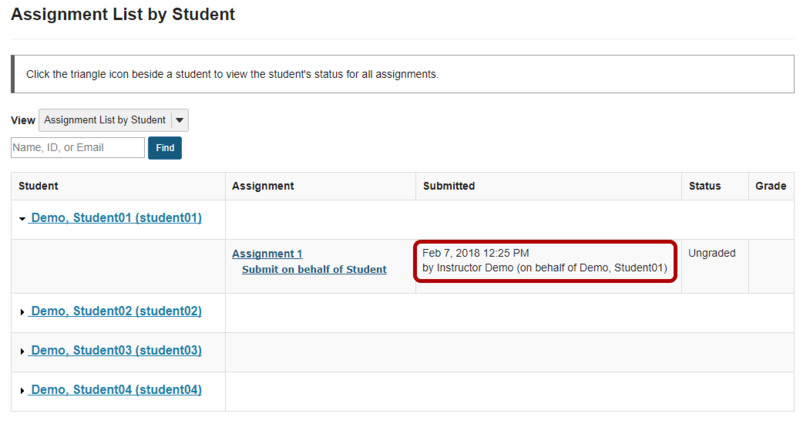 Zoom: When you view the list, you will see the name of the instructor next to the submission.